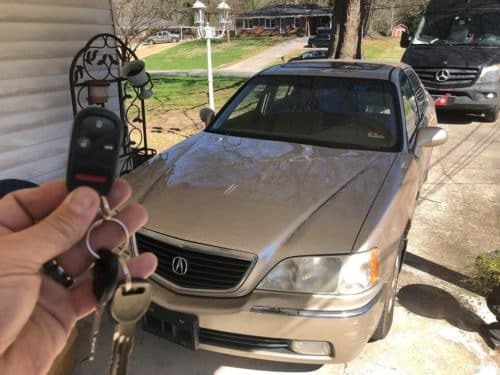 1999 Acura 3.5RL: Immo unit flashed and keys added with remote. Technology keeps moving forward, complicating even the most simple of things. Looking back, it seems like just yesterday, something as simple as a key, was actually just that, a key. Today, even a key is not so simple. The latest idea in key technology is the development of transponder keys. While nearly every one of us knows what a key is, at the same time most of us haven’t a clue as to what a transponder key is, how it operates, or why transponder keys are useful. Fortunately for you, the highly skilled locksmiths at Lock Dawg know transponder keys and more. Let us be your guide. A transponder key uses RFID (radio frequency identification) technology, via a microchip placed inside of the key. This microchip is able to receive a one of a kind radio signal sent from the vehicle ignition, while also sending its own distinct radio signal in response. The transponder chip provides an extra layer of protection in regards to vehicle security, by requiring a radio frequency response from a vehicle’s key prior to allowing the vehicle ignition to engage. This is an additional security measure, ensuring proper user verification. If you are having trouble with your vehicle’s transponder key and need transponder key replacement or transponder key duplication, call Lock Dawg locksmiths today. 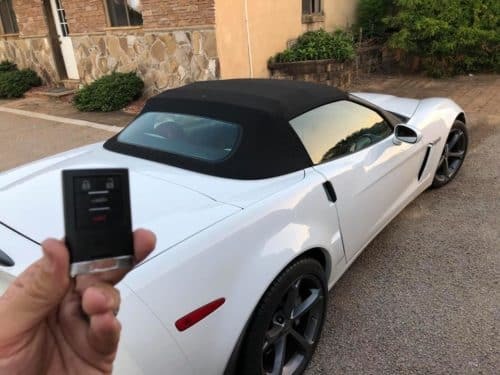 Prox Push to Start fob programmed for 2012 Corvette. Locked out and can’t make it in to see us? No problem, Lock Dawg has a fleet of mobile locksmiths. Let us send one your way. Once our skilled and dedicated locksmithing techs are on the scene, they’ll have you back on the road and on your way in minutes. Lock Dawg is the name to remember when you need car key replacement or key duplication. From central Georgia and locally owned, Lock Dawg is here to care for all of your locksmithing needs. Call us today, and we’ll get you on your way.